So, after my first attempt at voting failed I tried again after the working day had finished where I had more time on my hands to stand around dithering until it was my turn to put that ‘X‘ on the flimsy piece of paper. As I queued up thoughts tumbled around my head about the what’s and the whys of the whole system and the inevitable outcome and what the next five years would bring. What was the point in voting for a party who would do only what had been done before and never helped the poor, the sick, the elderly, the kids; those that need it most. The trouble is everything takes too long to become reality and make people’s lives better. We do not want change to happen in five or ten years. We want it NOW! We are on this planet for such a short space of time before we pop our clogs and yet nothing seems to move on for the better. In my short lifetime I have grown up with either Labour or the Tories and both have made terrible decisions which has seen the UK struggle like an injured animal; a once proud lion that has been beaten to a pulp and is now exhausted and has given up and has accepted its fate. That is the feeling out there on the street. It does not matter how hard we fight back for we will lose either way. We’re damned if we do and we’re damned if we don’t. So when I voted early tonight I did so with a heavy heart and left with a very bad taste in my mouth. The choices for a new government was slim but for the local council it was even worse and even unfair. I looked at the ballot sheet and did not like what I saw. I was disgusted. At least there was no far right parties on there I thought even though UKIP stood out like a bad smell. I was glad I was not in Scotland for the vote because then you would have the SNP which also leaves me feeling uneasy with its almost ‘racist-like’ attitude towards the rest of the UK and especially the English. They give Scotland and its beautiful people a bad name and yet they are getting many supporting them on a daily basis simply because they have had enough of the Tory’s and Labour has let them down. This can only mean another referendum on Scotland leaving the union, something I do not want to happen. I feel it will be bad for all concerned and especially for those in Scotland who will not be able to turn back like the Irish want to now do when they accepted the dreaded Euro as their currency. It brought chaos and poverty to them and it will do eventually to an independent Scotland. Greed and patriotism do not put food on the table; common sense does. If the Conservatives get in tonight then this may well happen within five years. I do not think it fair that you can keep changing your mind all the time. You cannot continue to play with people’s lives like they’re toys. Whatever the outcome tomorrow we will all pay the price fore it in some way or another as we always have done. Personally I think that after 800 years they have had their day and not progressed much really when you think about it. It’s time for a complete overhaul of the political system and a new kind of politics although I do not know in what form that may be? Perhaps all parties should be forced to work together as a council with another council who keeps them in check with the Queen making sure that they play fair and treat all with equality? I really do not know. I do know that it cannot keep going on the way it is for I feel something may implode or worse, explode if we continue to carry on in the way we are. 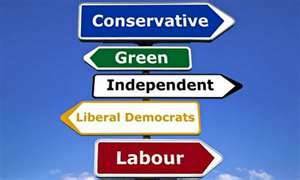 I have had enough of them all and support no party yet I am forced to vote if I want to have a voice? What kind of democracy is that when you are forced to vote? If I chose not to vote tonight why should I not have voice? 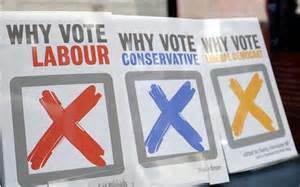 We should ALL get a voice needless of if we vote or not because we may not agree with the choices we have on that piece of paper, yet have to vote for a party we neither want nor like? The whole system is corrupt and ranks of hypocrisy. It disgusts me as do they. No matter who wins tomorrow we will still have to pay taxes, ever-rising bills and travel and put up with a struggling NHS that both major parties have contributed in. Life will go on. Privatisation will continue across the land as businesses are sold to other countries along with this island nation of ours and we will carry on working in low paid jobs if we are lucky to have one that is and exist in a zombie-like state which is what the government wants I believe.